There is a ten and twelve dollar discount available. 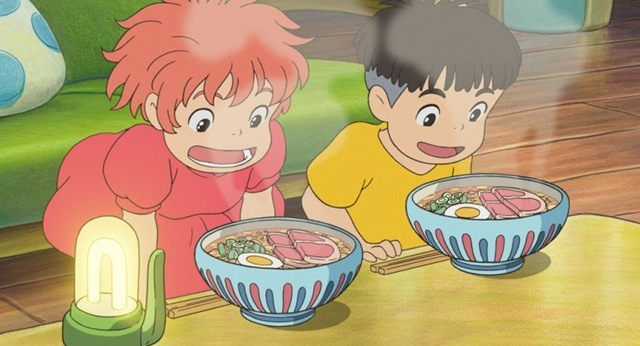 To receive the ten dollar discount, you must add the Ponyo DVD or Blue-ray and one of the above titles to your shopping cart and enter the promotional code “PONYOTEN” during checkout. To receive the twelve dollar discount, you must purchase the Ponyo special edition gift set (The set includes the film and a Ponyo plush toy) and one of the above titles and enter the promotional code “PONYOSPE” during checkout. This special offer runs until June 2, 2010. So make sure you don’t miss out on this special offer. That’s all for now, so until next time. 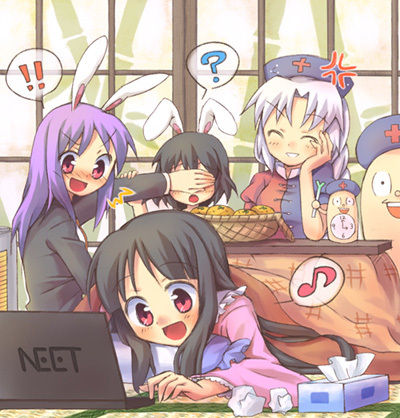 Remember that their is a ton of great anime and manga out there, all you have to do is find it. Ltrs. Edit: I did not realize this until last night that the video will not play because the user who created the video has disabled the embed code for the video. However, you can still see the clip by clicking on the link that says “Watch on YouTube” when you play the clip. We do apologize for this minor inconvenience. Thank you. Since their is no good anime news to report on, it’s time now for another edition of Afc Quickies video edition. In this edition of Afc Quickies video edition, we take a look at a different look at the popular series known as The Melancholy of Haruhi Suzumiya. 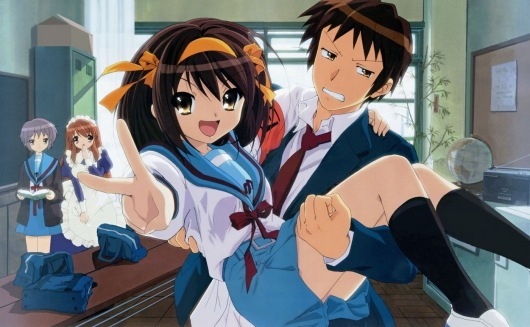 However for any of you Haruhi fans out there, this will be completely different than what you are used to watching. Keep in mind that this video contains adult language and adult situations that may not be suitable for most of our readers. Viewer discretion is advised. Enjoy the video everyone and I will talk to you guys again soon. Ltrs. Afc Quickies-The Osaka School Of Yawn!!!!!!! Did you ever have one of those days where you are completely bored out of your mind and you just want to lay down and take a nap? Well have I got the video for you. In this edition of afc quickies we have another clip from the anime series Azumanga Daioh in which we see Osaka and friends having lunch on the roof of the school. However Osaka notices what a beautiful day it is, she thinks it is a perfect time for an afternoon nap. But when Yomi and Chiyo-Chan get in the act, it catches on relatively quickly. Personally, this is an excellent video for those of you need a way to get to sleep at night or if you just looking for something to get your mind off other things. But anyway, enjoy the video and I will talk to you guys again soon. Ltrs. Here is some interesting news that may put you into some shock. 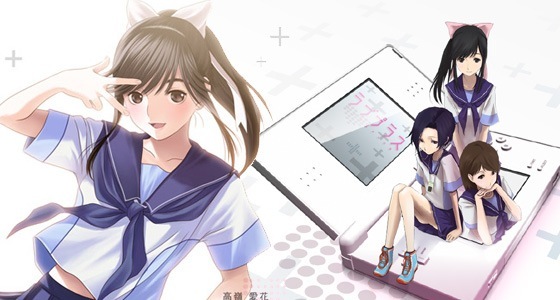 It has been recently announced that manga publisher Kodansha will be launching a new manga series based on the video game Love Plus DS. The series will be featuring stories featuring the female characters from the game. The series is set to be released starting with Monthly Shonen Rival on April 4 then in Shonen Magazine on April 9, Monthly Young Magazine on April 14, Magazine E-no on April 20 and will conclude in Afternoon on May 7. As always stay tuned to Anime Full Circle for the latest updates on this developing story. And until next time, remember that their is a ton of great anime and manga out there. All you have to do is find it. Ltrs. Misc Stuff-Haruhi Suzumiya=You Just Been Rick Rolled!!!!!!!! Here is an interesting video that I think you guys will like. It is a Haruhi Suzumiya amv featuring one of the greatest one hit wonder songs of the 80’s. Yes, I am referring to Rick Astley’s Never Going To Give You Up. And as a little bit of a bonus, you get to see part of the original music video as well. Enjoy everyone and I will talk to you guys again soon. Ltrs. YOU JUST BEEN RICK ROLLED!!!!!!!!!!!! LOL!!!!!!!!!!!! Now as most of you may or may not have known, Adult Swim aired the first episode of the English dub of Full Metal Alchemist: Brotherhood last Saturday. Well for those of you were not able to catch it, here is your first look of the new series. Fullmetal Alchemist:Brotherhood is a complete retelling of the original Fullmetal Alchemist Series in which it focuses more on the manga than the original series itself. But now for those of you who are unfamiliar with the original series, here is a brief overview of the series. The series focuses on Edward and Alphonse Elric, two brothers who were bound by fate from trying to resurrect their dead mother by using Alchemy. However, they were unsuccessful by which they were punished for their actions in which Edward looses an arm and a leg and Alphonse loses his entire body but his soul is placed inside a suit of armor. 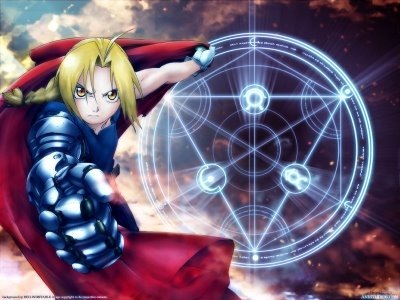 Edward vows to find a way to restore their bodies in which he decided to become a State Alchemist. Ok, let’s fast forward about 51 episodes. Now as I mentioned just a moment ago, FMA Brotherhood is a complete retelling of the original Fullmetal Alchemist series. The series features most of the original characters from the original series and a few new characters as well. The cast for the English dub features most of the original voice actors and actresses from the original series. Now I don’t know about you but if a series features the original cast, well that’s something to appreciate. Overall I feel that the English dub of FMA Brotherhood was really good. But it is still a little bit early to tell, but I will be watching both the dub and sub versions of the series in which I will give you guys a full review. So stay tuned everyone and until next time. Remember that their is a ton of great anime and manga out there, all you have to do is find it. Ltrs. 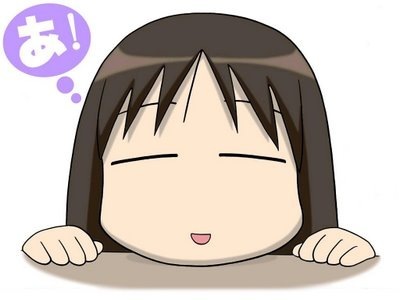 You are currently browsing the Anime Full Circle blog archives for February, 2010.